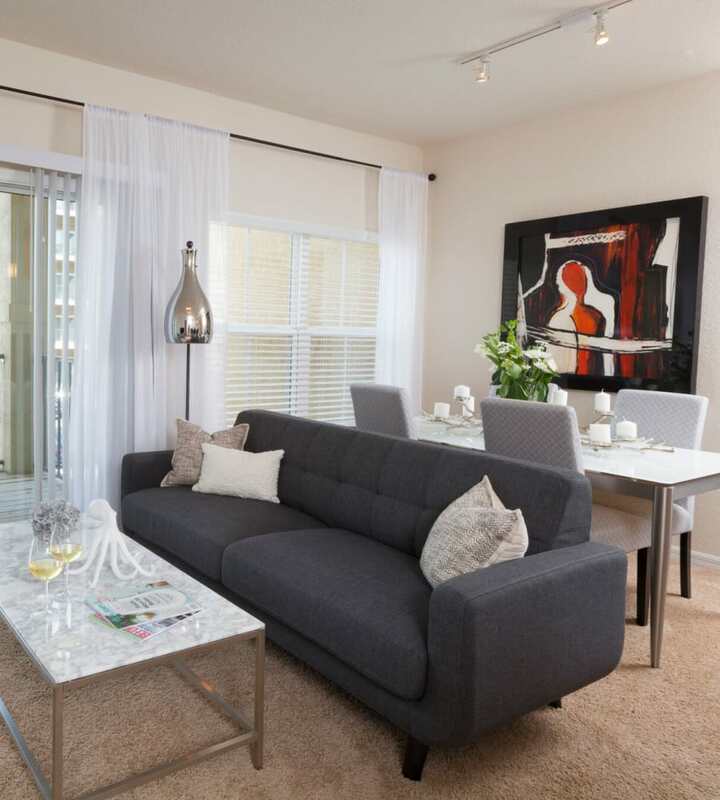 Expect more at The Gate Apartments – more space, more comfort, and more luxury. Our Champions Gate, FL, apartment community boasts one, two, and three bedroom apartments with spacious, life-enhancing extras. Inside, you’ll enjoy king-sized bedrooms with luxurious dual-vanity sinks in the master suite and large walk-in closets to complete the space. Home extends outside onto your private patio or balcony. Add comfortable seating and a few potted plants to create your own outdoor oasis overlooking scenic views of the lake, pool, or surrounding nature. We know that a perfect space is made in the details. As you walk through your new apartment, you’ll notice that, from corner to corner, this space was crafted with you in mind. Each apartment is accessorized with large mirrors, elegant pendant lighting, and premium faucets. Your designer kitchen thoughtfully includes tiled backsplash, a ceramic cooktop range, and a built-in microwave. Come home to a space that truly feels like your home. Come home to The Gate Apartments. Take your time finding the right floor plan for your unique lifestyle. Once you choose your favorite, call our friendly leasing team to schedule an in-person tour of our luxury apartment community in Champions Gate, FL.